Every year around the end of July or early August (tide dependant) the village holds a traditional Sports and Carnival event on the Village Green. Starting at 2pm the children’s sports include three-legged, sack, all four, mat, novelty as well as flat races. There are standing long jump and shot-put events all categorised in differing age groups with cash prizes for winners. We even persuade parents to join in with sack and three-legged races. There is a traditional tug-of war for children and the grand Golant versus the rest of the World tug-of-war to conclude the afternoon. Everybody is welcome, the more the merrier, even if you are just a spectator as there are always side events including Splat-the-Rat, book sales and a treasure hunt. This is all supported by the village ladies serving cream teas and their home made cakes. Carnival assembles at 6.15pm for judging to commence at 6.30pm and is a traditional fancy dress event with different classes for children and adults. 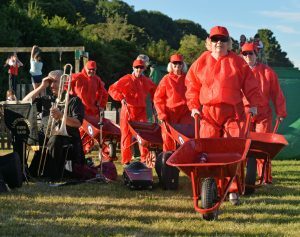 This is followed by a procession around the village at approximately 7.15pm led by a brass band who will have played on the Green whilst the Carnival assembles and is judged. We all then de-camp to the Fishermans Arms who will have organised the remaining evening’s entertainment to include a BBQ and a band to dance away the night to. 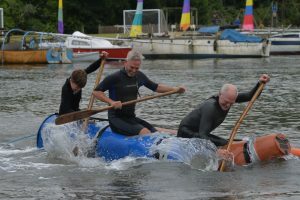 Madness-in-the-Pill is a water based family fun event and again visitors and locals alike are very welcome. So, get your teams organised and be prepared to get wet. 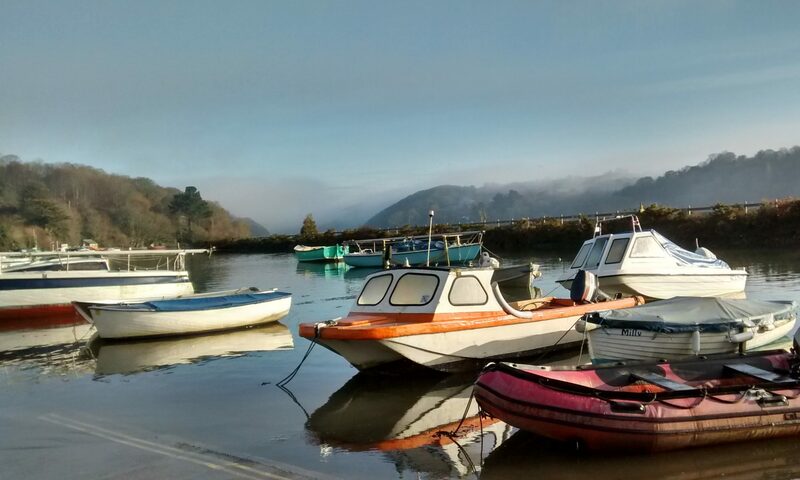 Based on rafts there are relays, tug-of-war races, blind kayaking and the Grand Golant Raft Race where you are encouraged to make a raft include fancy dress and race along the Pill and back. This is also a great spectator sport viewed from the Fishermans Arms terraces with a drink in your hand.